- I remembered that branches do need to begin & end somewhere! 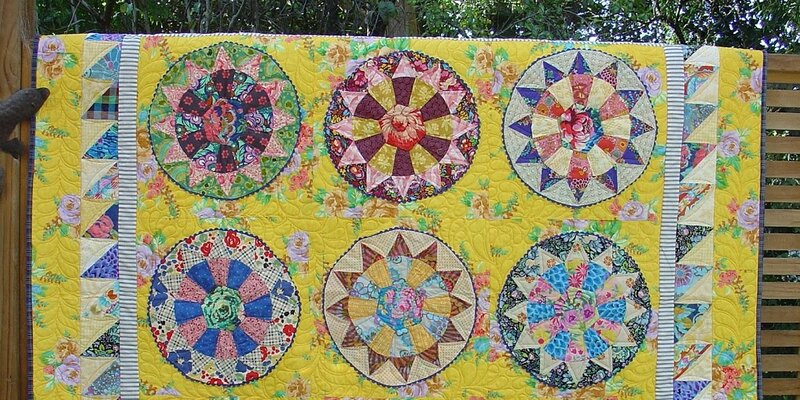 The centre wheel called for a focus fabric, it sets the tone for the quilt and is a good way to feature a larger print. I substituted this with my little bit of improv 'mod corsage.' I also then toyed with adapting the pattern just a bit more. But things have a habit of changing along the way with me, does that happen to you too? but I really wanted a feature for the centre of a Chris Jurd quilt I'm attempting at present. in particular, anna maria horner's mod corsage block featuring fussy cutting, appliqué and broderie perse. I'm thinking a bit of improv 'mod corsage' could be perfect for my little centre piece! because large-scale florals with white backgrounds are rare, e.g. like the old chintz florals. and the background of the printed motifs that you’re going to cut out. ... and I had a little play with the black background as well! - worth checking it out if you too want to give it a go! 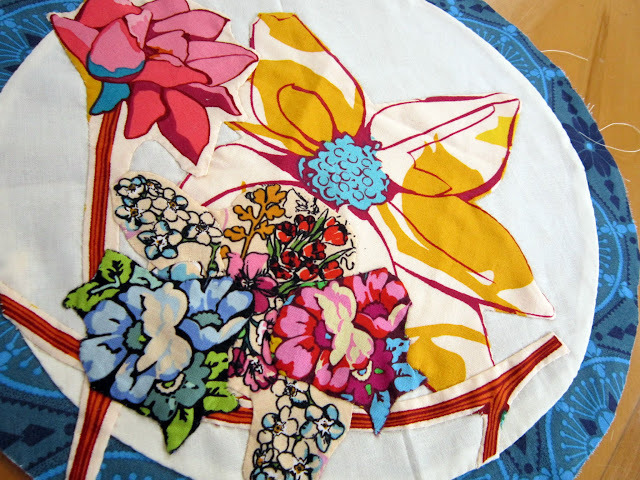 And here's an excellent link looking at all the different methods of applique, including Broderie Perse. So, armed with all this new info, I thought I'd give it another go. ... not sure about the end result yet but really enjoying the process! - pop on over to check out lots of lovely inspiration! My quilty friend Glenys is awaiting her 2nd grandchild and has, of course, been busy sewing... making this gorgeous little quilt. She adapted it from a free pattern, 'Paisley Splash' that she found over here at Windham Fabrics. 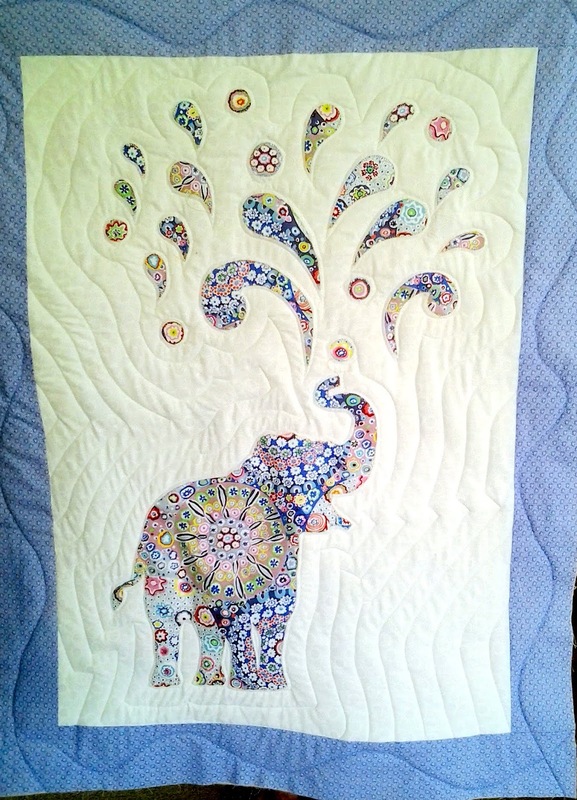 She used this Kaffe fabric, millefiore in pastel blues, for the elephant and has done some echo quilting while having a bit of a play using her new sewing machine. She just needs to add the binding now and then it's all done, all ready for the new little baby due in January! ... H-m-m- I'm guessing it's a boy! 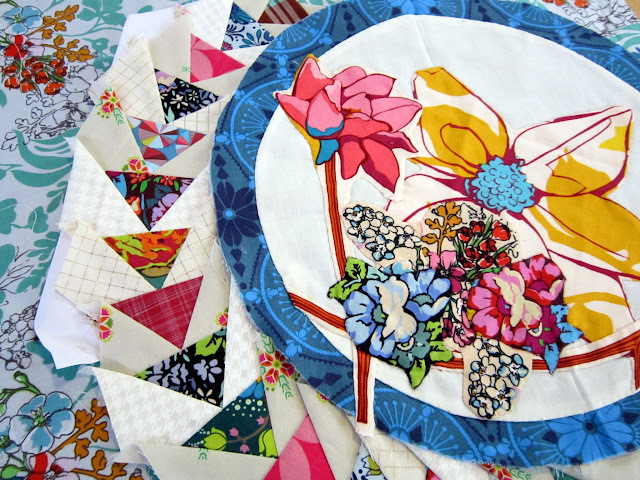 Jen Kingwell's quilts all have that vintage-y, thrifted look about them that I am really loving just now! Green Tea & Sweet Beans is no exception. It's basically a scrappy sampler quilt put together in quite a unique way. Jen's version looks like nothing was bought especially to make her quilt, but rather, simply collected over quite a long bit of time. I too, am digging deep into years of my scrappy stash. I'm trying to mix up all the fabric styles, contemporary with traditional, 30's, reproduction, vintage, Japanese, and a little bit of Liberty - along with an eclectic mix of spots, florals, stripes, text, etc. Lovin' this, it's whimsical & very pretty, just perfect for what I want to be sewing some days. Some 'slow sewing' now to finish the other 6 little Orange Peel blocks! I've had a few questions about my progress, so I thought I'd share a little bit about how I'm going with things. I'm tracing & drawing up the templates on photocopy paper and then adding the 1/4" to each one. There is quite a bit of fiddly little piecing, and my construction process differs in some places to the pattern. Depending on the block, I'm using a combination of machine piecing, EPP, needle turn applique (a wee challenge!) and a little paper piecing, really whatever suits at the time. For some blocks, e.g. Tulip, careful cutting out is needed, as some of the pieces need to be cut individually with the fabric facing up. I'm making my own bias strips for some of the stems, controlled organic (!!) and some knowledge of insetting y- seams is needed. h-m-m- orange and pink could be my new favorite colour combination! ... but on the other hand, I'm really keen to put at least one section together! It's not easy, is it... buying fabric for someone else? but also all the mucking around getting somewhere in a new environment. Glenys has just come home from a trip over to Australia visiting her little grandson, and she went shopping just for me! I had been trying to source a pattern by Judy Newman, and sent her details about a shop that was possibly near her, Quiltsmith. She replied "no problem, I've got a spare day." Long story short, she caught three buses, came across a couple of rather unhelpful bus drivers, tiki-toured around Sydney for half a day, helped a distraught mum, baby & toddler on & off a bus with pram, and finally found the shop! After a well earned coffee, she had a great time strolling around the shop, it was huge apparently, with heaps of fabric, heaps of variety! And she did some excellent shopping! And these lovely vintage feedsack fabrics, charming in any scrappy quilt! my pick of the bunch! and they will be great additions to my fabric stash! 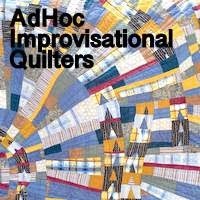 Are you like me, and love your quilts being used on a daily basis? My "trippin' lightly round & round" is now finished, and off down to the bach at the beach, where it will really get that 'homemade' look & feel pretty quickly! ... and so nice to be able to tick this first project off my FAL Q4 list! ... I will let you know how I get on! And just a little bit more GT&SB action before I finish up today. I'm mixing up many years of collected fabrics, sifting through my scrap basket and finding some long forgotten treasures! Lots of fun, and just a wee challenge to get them all to work well together! So lots of WiP's to share today, all in various stages. and fell in love with this quilt! 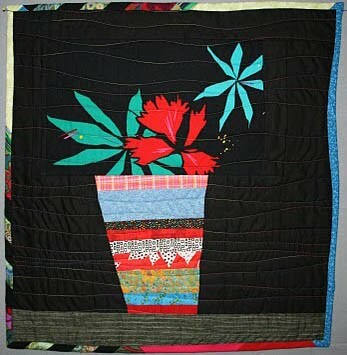 The fabrics are all designed in a way that helps to build the components of this improv, floral quilt style. Heaps of inspiration & great things to look forward to, yes? Right now though it's time for a little improv and play around here I think! to spend a quiet sunny Sunday afternoon! et voila, one hexi panel - done! And here's all the blocks for my GT&SB project so far.